Gidulei Terumah. First edition Venice 1643. Comprehensive commentary on the Sefer Ha’Trumos authored by R. Azaria Figo. 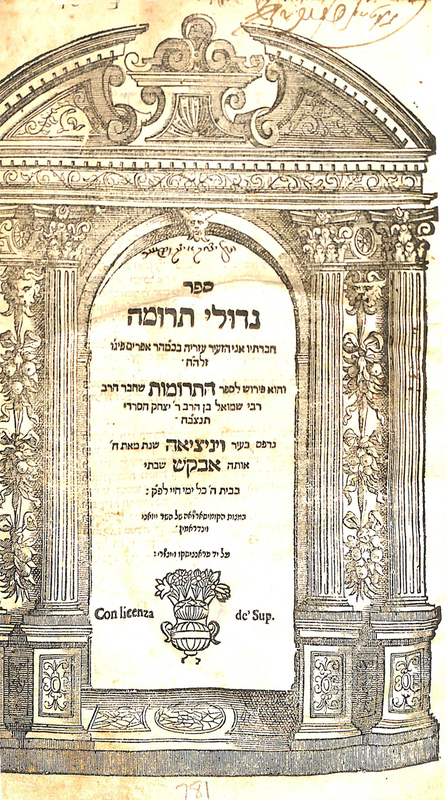 R. Azaria Figo (1579-1647) was a disciple of R. Avrohom Abuhav. He served as Rav in various communities in Italy including Pisa and Venice. 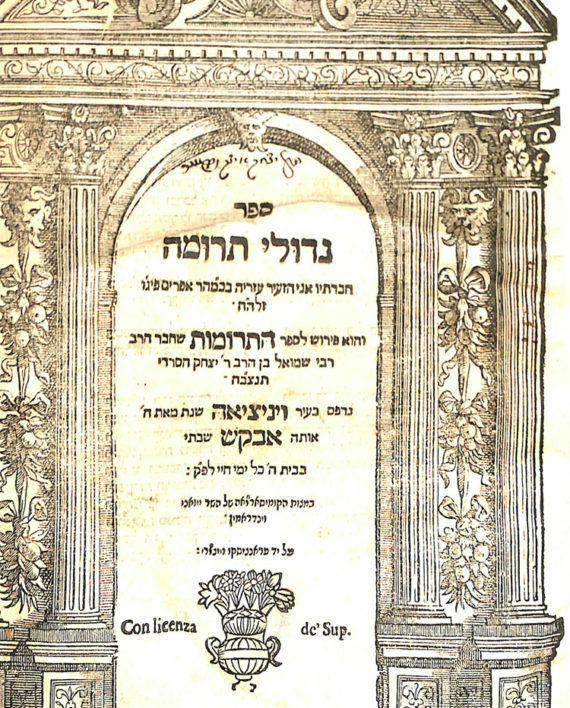 He is reputed to have authored this sefer from memory, without access to seforim. Enormously respected, this sefer, as well as his sefer of sermons Binah L’Ittim are classics of rabbinic literature and are quoted extensively by the later commentators. With interesting poems printed at the beginning and end of the sefer. Vinograd Venice 1255. Vitserie-Fransicko-Windermin press. 6, 382 pages. 17.5 cm. Fine condition. Fine antique wood and leather binding.